MoviePass went from an unbelievably great service -- see as many movies as you want for $10 a month -- to an incomprehensible disaster -- no one could even keep track of what was happening anymore -- pretty quickly. The moral of the whole bizarre story is still open to interpretation, but it was good while it lasted and seemed like just another strange chapter in the history of startups. But, as in one of the horror movies you probably saw with MoviePass, the service is back from the dead. And it's reportedly trying to bring back its best feature: unlimited movies. It's not going to be just like it was, though -- in large part because that was wildly unsustainable. Instead, Variety reports that there are going to be three tiers to a new system, and only the top one will feature unlimited movies. Khalid Itum, executive VP of MoviePass, confirmed that the new version of the service will debut this month. The plans will also cost different amounts depending on where you live. The Select plan (the lowest tier) will likely cost $9.95 outside the major cities and $14.95 in major cities. It will get you three movies a month, and you'll likely be restricted as to when in a movie's theatrical run you can see it and how many 2-D vs. 3-D screenings you're allotted. Then there's the Red Carpet plan, which will be $19.95 outside major cities and $24.95 in major cities. 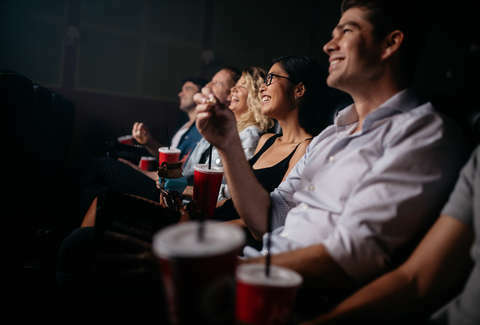 In that tier, customers will get "three movies of their choosing at any time and in IMAX, 3D, and other premium formats," according to Variety. As to the new unlimited plan, we won't know the details of that until next week, and, most importantly, the pricing is still a mystery. PC Magazine speculates that it could cost up to $40 or $50 a month, but as of now, that's just speculation. Even if it is that high, however, if you live in New York and see at least one movie a week, it's probably worth subscribing again.